For Golran, India Mahdavi designed a collection distinguished by a pattern of smooth leaves. Gradually overlapping toward the centre, they seem swept up by the wind, carried by a gust travelling over the centuries-old tradition of Persian carpets. The first “garden” is more classic, having a rectangular format, a generously framed central decoration, and zigzag edges to replace the fringes. 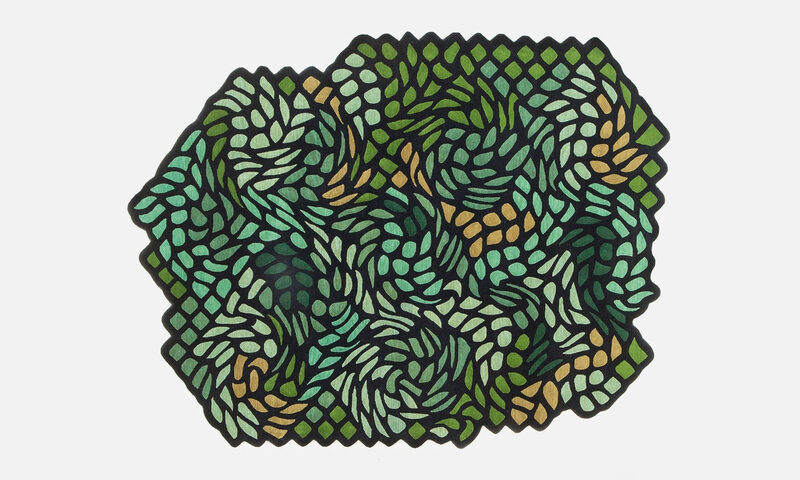 The second is created by removing the central pattern from the initial design, to reveal a wild garden. 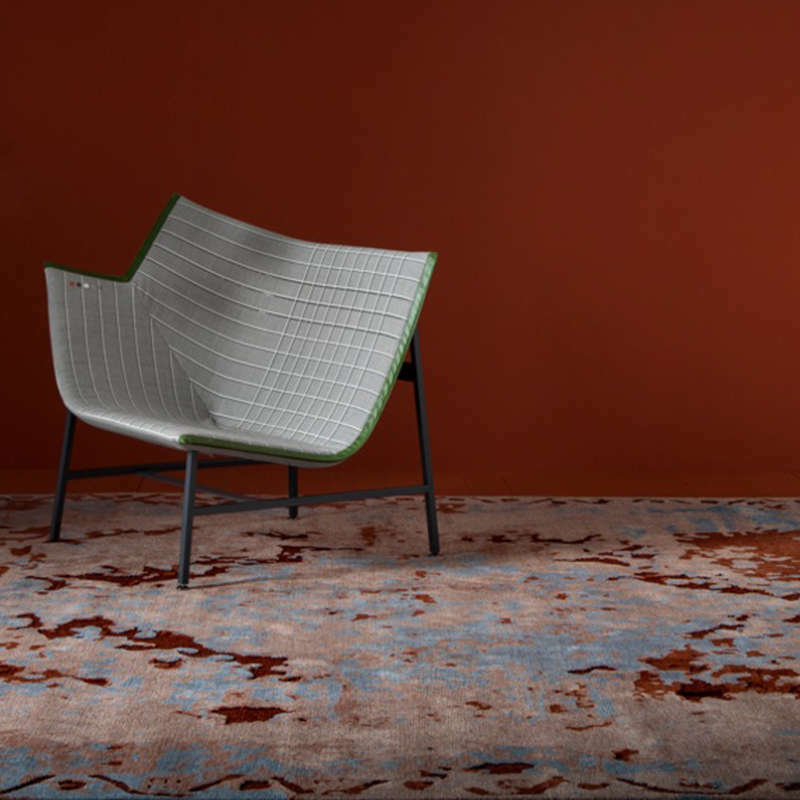 The extraction of this piece creates a freer, all-over pattern, resulting in an irregularly shaped rug suited to the furnishing of less conventional spaces. 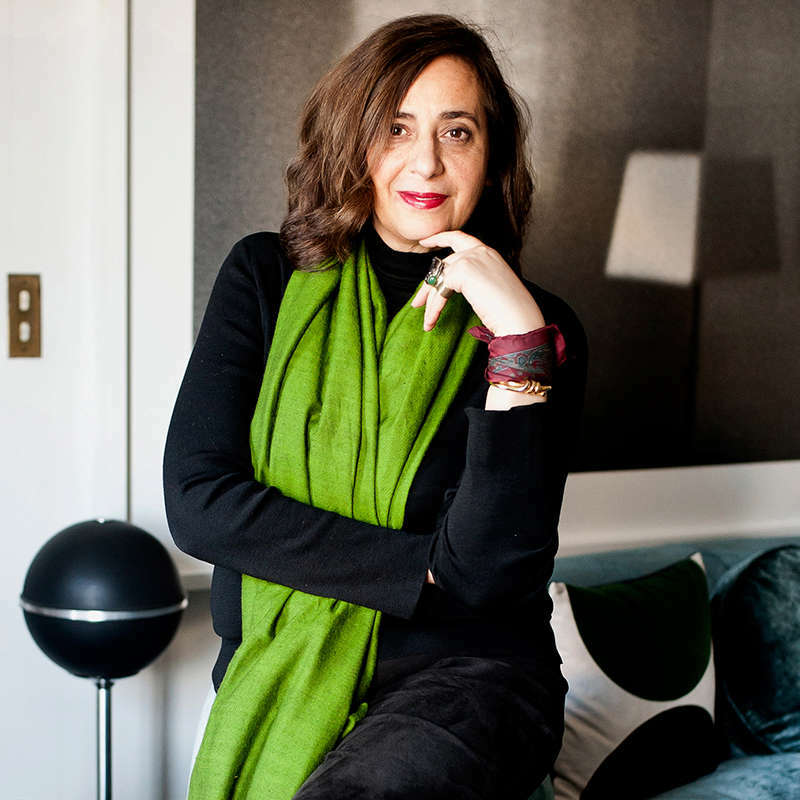 By breaking out of the confines of shape and adding movement, India Mahdavi offers a new interpretation of carpets inspired by Eastern gardens. March Free Shape takes Persian gardens as a source of inspiration, forming a connection with a tradition belonging both to Golran’s history as well as Mahdavi’s eclectic background. Established in Milan in 1968, the nomadic story of this brand started in 1898 in Mashad, ﻿Persia, with the trading and manufacturing of carpets that Eliahu, Elia, Nathan, and ﻿Benjamin inherited from their great grandfather Hajizadeh Golran, handed down by their ﻿fathers, Nemat and Ruben.